Welcome to Defence IQ, an online industry resource providing industry professionals with exclusive access to a library of multimedia presentations from top executives presenting at leading industry events from around the world. Defence IQ is an international online community dedicated to providing military personnel and the defence community throughout the world with information regarding current military and defence issues. We help the military to find and share knowledge. But more importantly, we help them to connect and discuss with each other to make the wider industry a better place. Defence IQ can quickly deliver a customised advertising package to help you meet your business initiatives through our wealth of media assets to ensure that you capture top-quality leads that can be tracked and prospected packages. Take advantage of the Defence IQ portal's growing popularity with the military. We currently receive 30,000 unique web visitors per month. This figure has steadily grown by 15% every month for the last 6 months due to our highly targeted marketing campaigns. Because your online presence doesn't have to be tied directly to an event for a specific time period, you can achieve your marketing objectives on an online basis as part of an integrated campaign. Arouse interest from your target audience before the event, meet them during, and remind them afterwards. See your logo, an overview, and web link next to a piece of high value content. This will create positive brand awareness for your company among military decision makers, and establish you as a thought leader. With our monthly newsletter to promote featured content, a dedicated email blast, and a prime spot at the top of the Defence IQ home page, your content will receive somewhere in the region of 48,000 impressions. By delivering content to the military at no cost, you can engage whole teams at once, and influence the wider group of people involved in a decision purchase. For more information on how Defence IQ is uniquely placed to help you shape and deliver your message to a targeted audience contact us now! Whether you are embarking on a brand re-launch or planning to increase your current brand awareness, Defence IQ will ensure your brand is associated only with credible, highly recognised industry players. Defence IQ puts your brand in front of the most relevant, active, qualified industry players in a cost efficient manner. Position your brand at the forefront of burning industry issues, hot topics and industry developments. Defence IQ will ensure you are seen as part of the conversation between industry players, analysts and decision makers. If you want to be positioned as an industry leader, then partnering with Defence IQ is a great step in this direction. At Defence IQ we deliver leads that match your goals and increase your traffic, through a wide range of content creation and marketing initiatives based on your requirements. Engage and interact with your target audience through our varied lead generation campaigns. Want to learn more? Download our latest Media Kit! 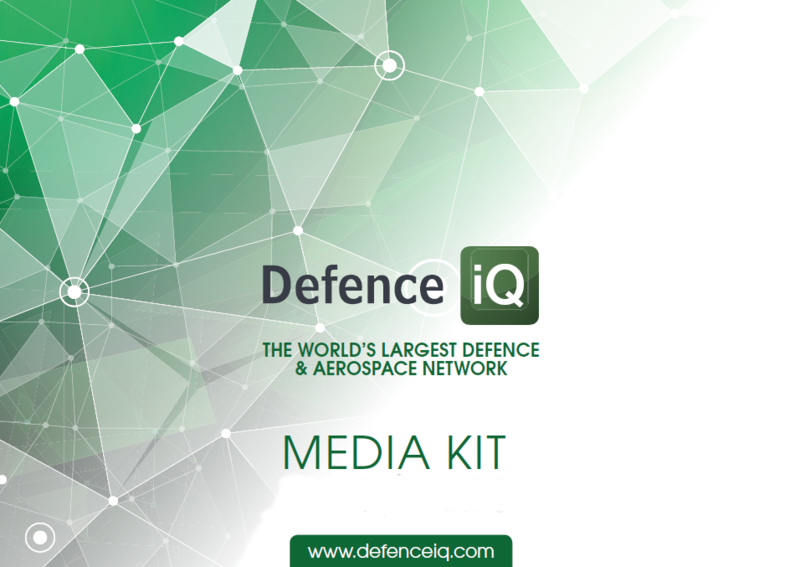 Download our latest media kit and find out how Defence IQ can help you build a unique campaign. As a leading defence and security online network we can help you meet your specific business goals and objectives through a variety of fully customizable products and packages.